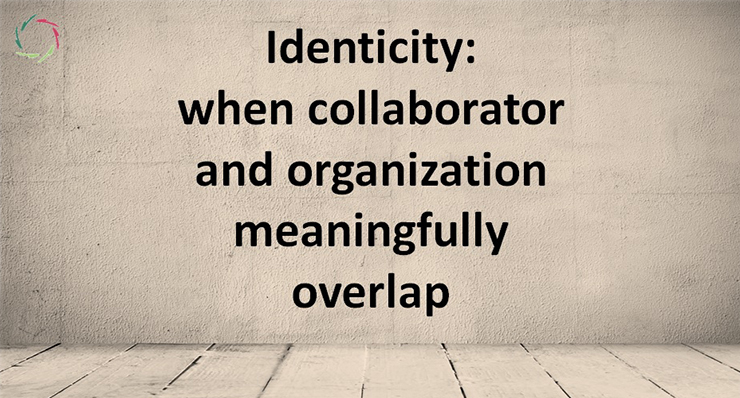 ‘Identicity’: when collaborator and organization have the same identity. It’s all about feeling. What if the organization were a person, what would that person look like? What would be his/her personality? And would it accord with yours? Do you communicate that ‘deep identity’ to your collaborators? Effectively? How? 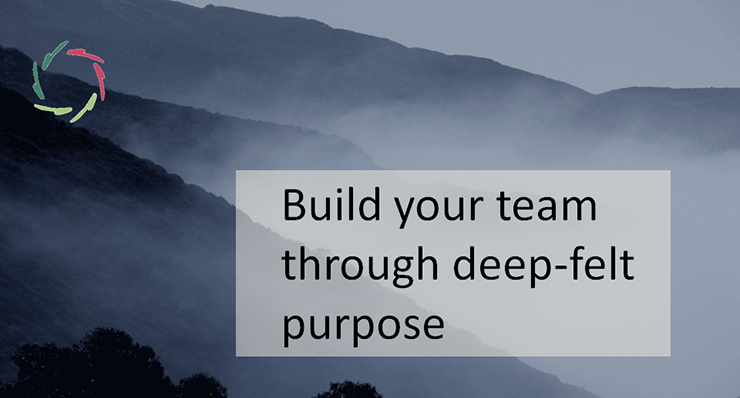 How can you help your collaborators to track their own ‘deep’ identity? Since motivation only comes from inside, the only way to really motivate a collaborator to work for a cause is through his identification with that cause. An organization can be the materialization of that cause. If the identity of the organization accords with that of the collaborator, motivation flows naturally. If not, you have a problem. People will disconnect: they work only for the money, or they search another occupation. 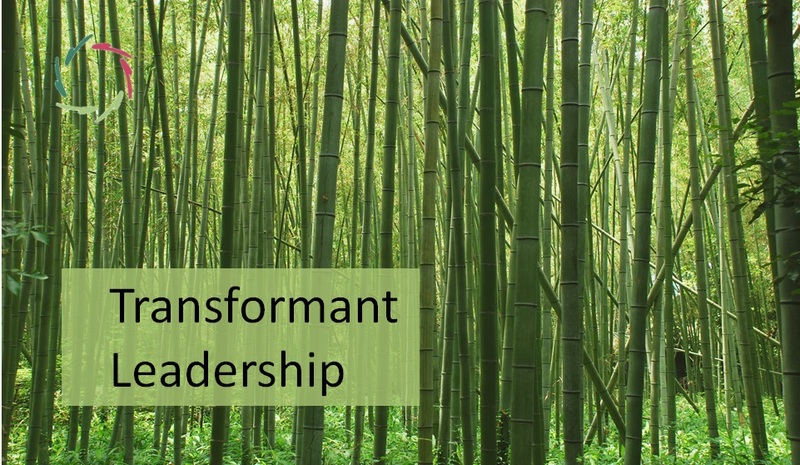 If organization growth and collaborator growth are perceived as coinciding, then human energy – deep motivation – is boundless. 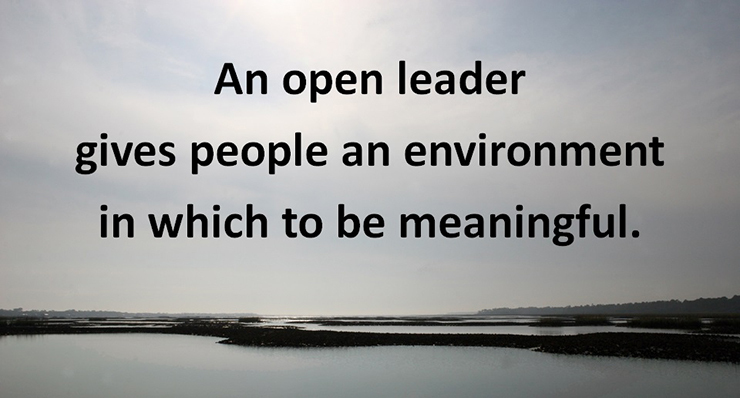 An open leader gives people an environment in which to meaningful.